9/11 Truth | The New York Times | Will they still ignore it? NY Times Billboard Kickoff Event – Join Us! Coming November 1: NY Times where is your coverage of this? The plan for the rest of the November: at least four people leafleting from 4:30pm to 6 pm every weekday until Thanksgiving. New Yorkers – please attend at least 2 of these afternoons! 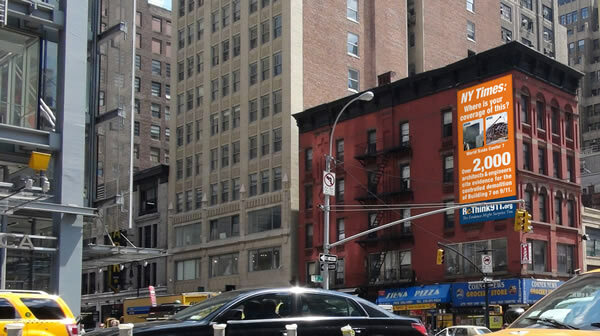 With our presence we will magnify the power of our billboard and send a strong message to the NY Times.